The Oscar nominations for this year’s best films have been announced with a clear focus on being a little more diverse than last year. The 89th Acadamey Awards is scheduled for the 26th of February 2017 and is hosted by Jimmy Kimmel. 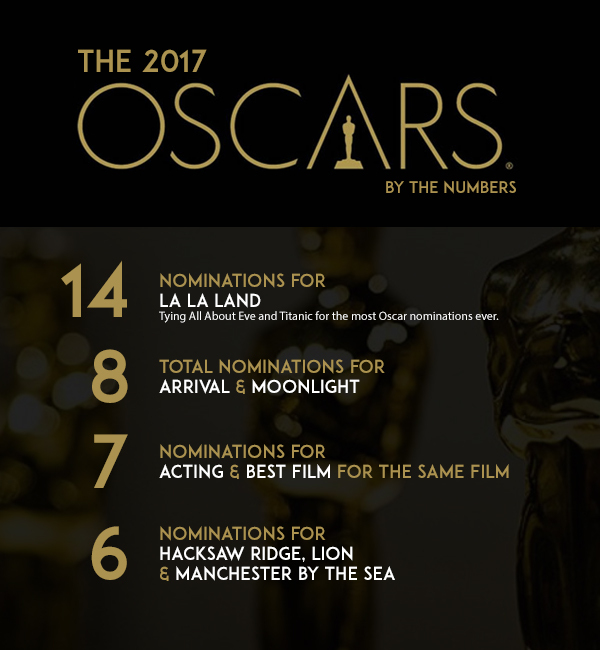 The nominees for the main categories are below and you can read the full list on the Oscars official website.